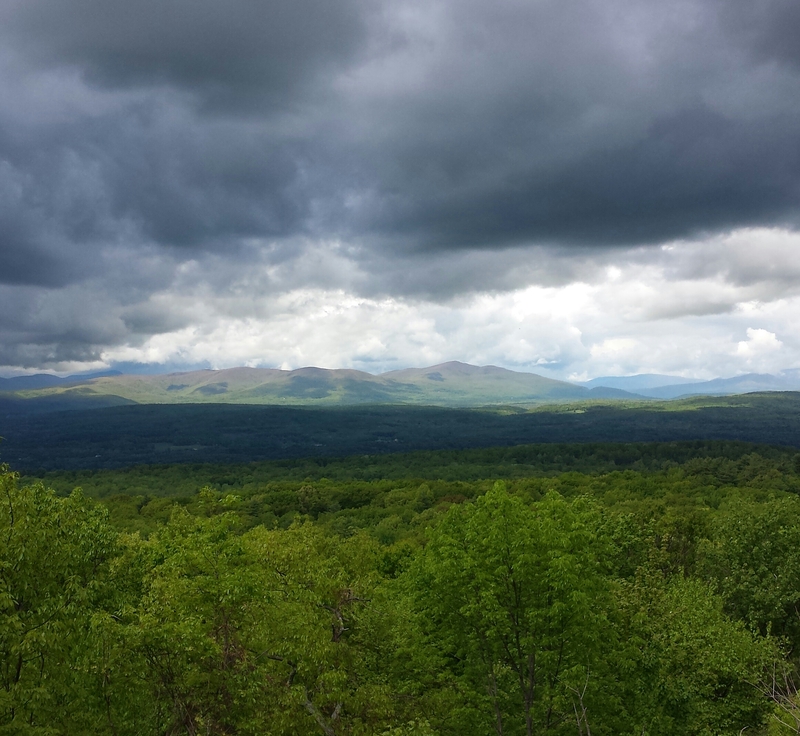 In a post last fall, I shared a photograph taken from the summit of Twin Mountain and made the point that after years of admiring the Catskills from the vantage of the Shawangunks, I had for the first time made the reverse connection. Last weekend I returned to Twin Mountain, but this time with my friend Steve Aaron, who is a talented landscape photographer. And this time I saw something new…. Upon reaching a mountain peak, one may be rewarded with a sweeping vision of the land, assuming the weather is clear, something that in times past would have helped chart a course through the wilderness. But even today, when maps and GPS all but eliminate the practical value, we still experience special feelings when reaching a vantage point: surprise at the immensity of the landscape, joy in making distant connections, wonder at new sight lines, reverence for nature, humility, awe. In certain cultures, climbing mountains is part of a quest for spiritual vision.